_ Kevin is an energetic, “hands-on” speaker who engages children with entertaining and educational presentations. His emphasis on making reading and writing enjoyable combines music, singing, and books in an appealing presentation full of fun. Kevin is a motivated author, teacher, and musician whose love for the art of reading and storytelling comes alive with every group. Kevin is also available for family assemblies and writing workshops. 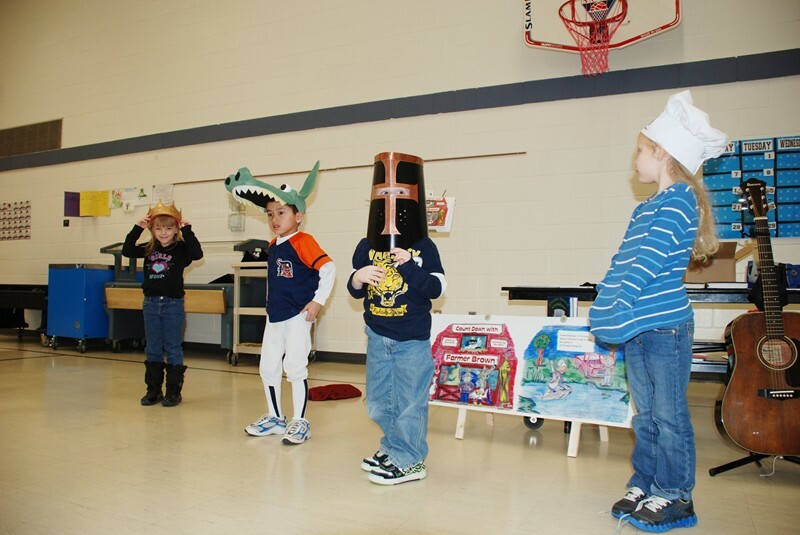 Presentations are broken down by grade level(s) to assure that students are engaged in an age-appropriate manner. Smaller audiences also allow for greater student participation. Sessions vary in length depending on student age. Please allow 5 minutes between sessions for the author to arrange props and collect his thoughts. "Kevin was awesome! Loved his enthusiasm! He not only had the attention of 100 students, but all the adults in the room too!" "Interactive, amusing, and reinforced importance of reading, writing and imagining." 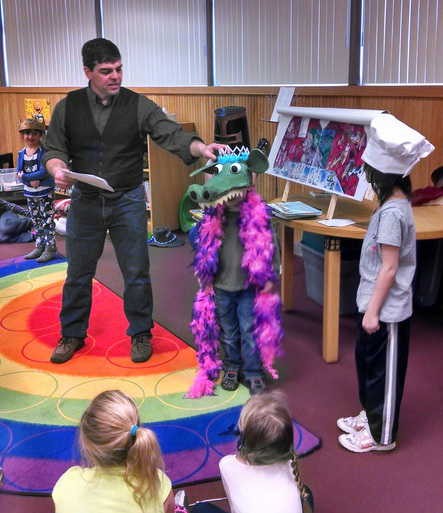 "The story was entertaining, the illustrations engaging and he was great with the kids!" "I loved your book. I loved the guitar and songs you sang with the children. You can tell you're good if kindergarteners sit and listen attentively, and they did!" "We really enjoyed how you included music with your presentation. I was able to use your writing techniques with my students during our writing workshop lesson. The students were very excited to start writing stories like a 'real' author! Thanks!" 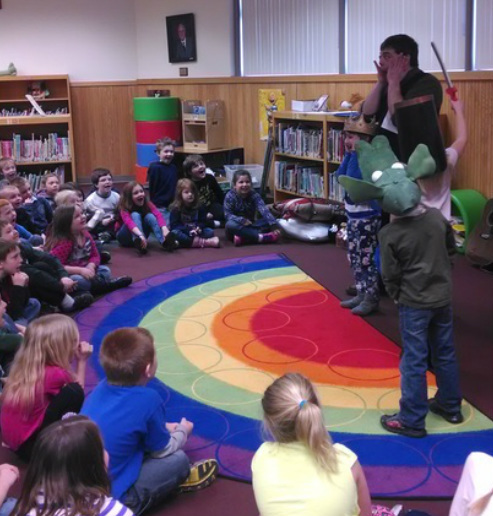 "You kept the kids' attention for the whole 40 minutes through your storytelling, singing, and interactive story. Great lessons on rhyming and parts of a story!" "You reinforced the same writing process that we use! This will certainly help the kids as they become "real" authors too!!" "He was so knowledgeable, personable, entertaining...The time flew by and my kids were highly engaged!!!" Kids help tell the story! 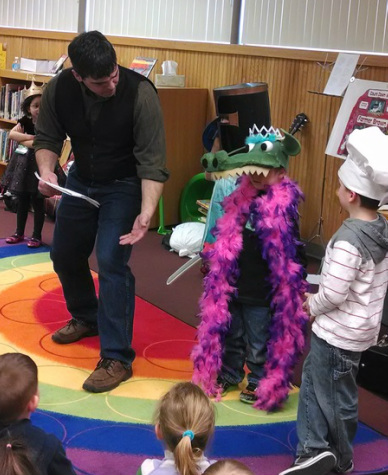 One of Kevin's most popular activities is the interactive story: No Dragons Allowed!